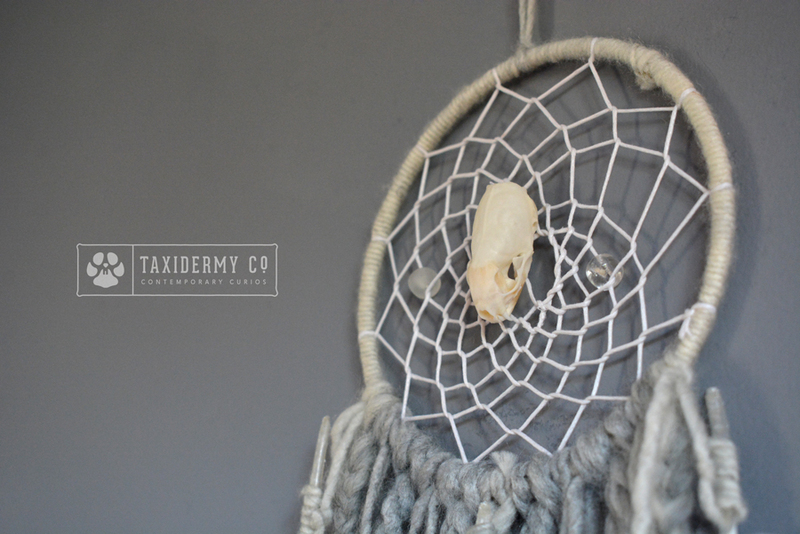 I am very pleased to present you with the first in a series of special products I have been working on – alternative handmade dreamcatchers. 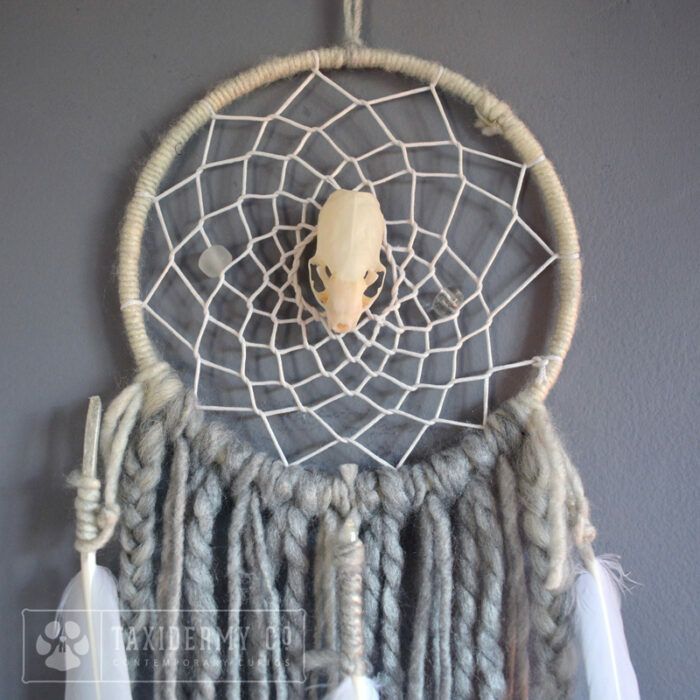 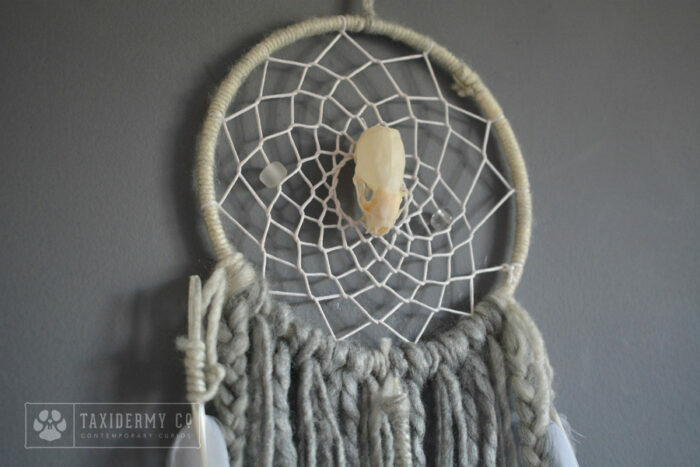 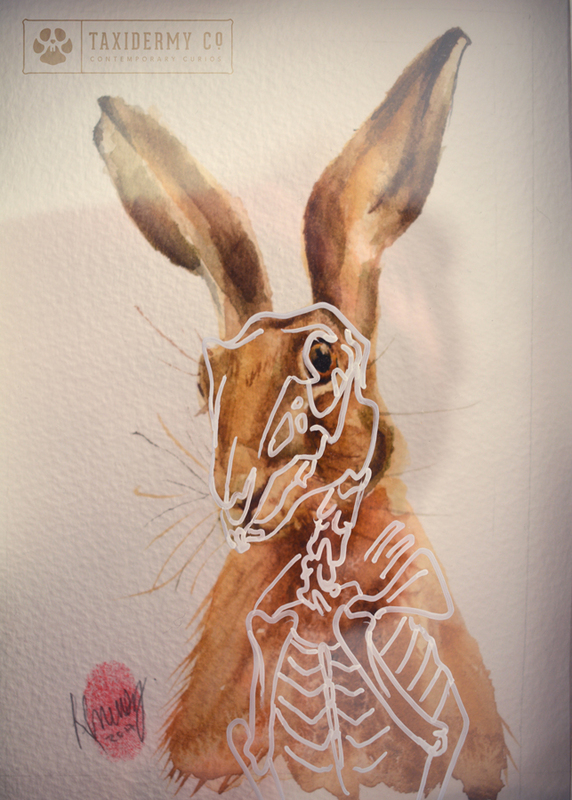 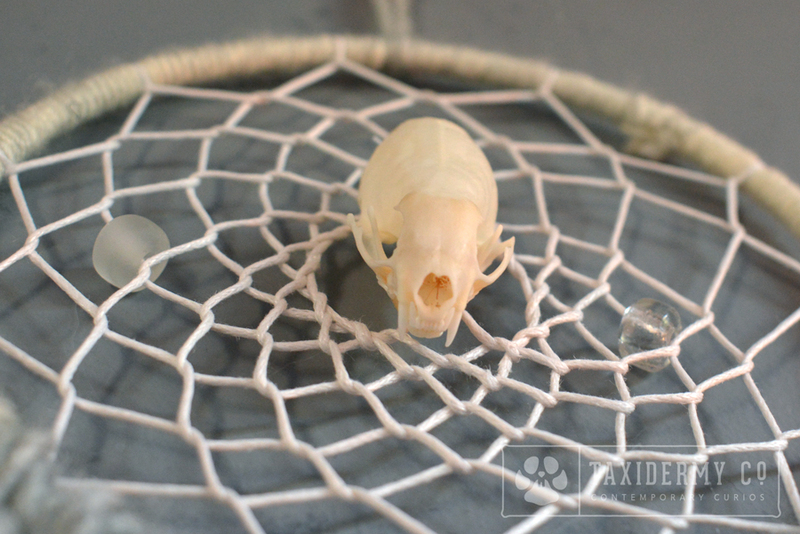 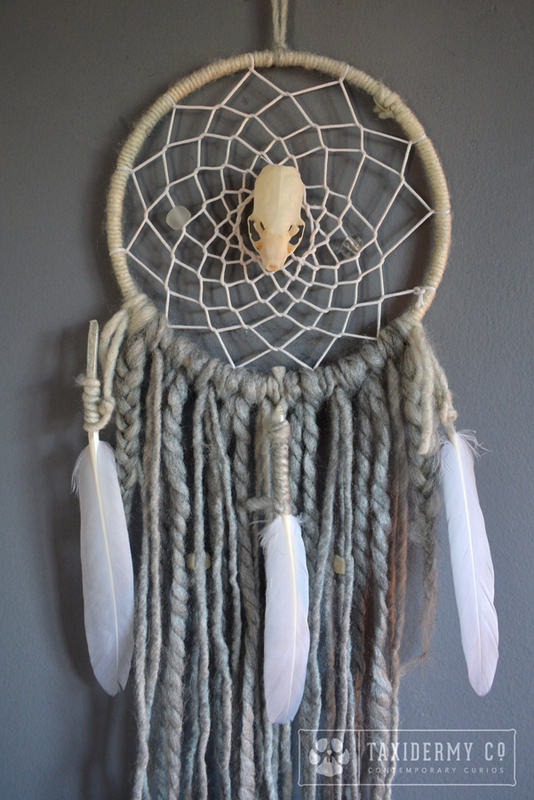 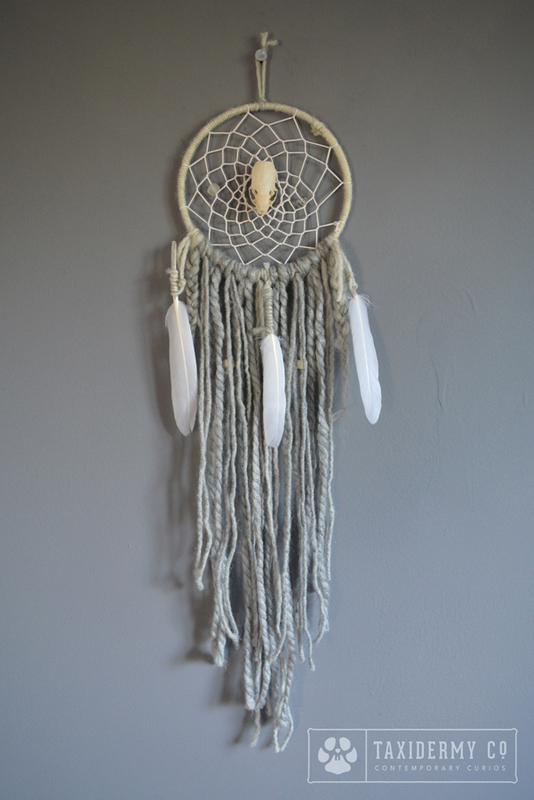 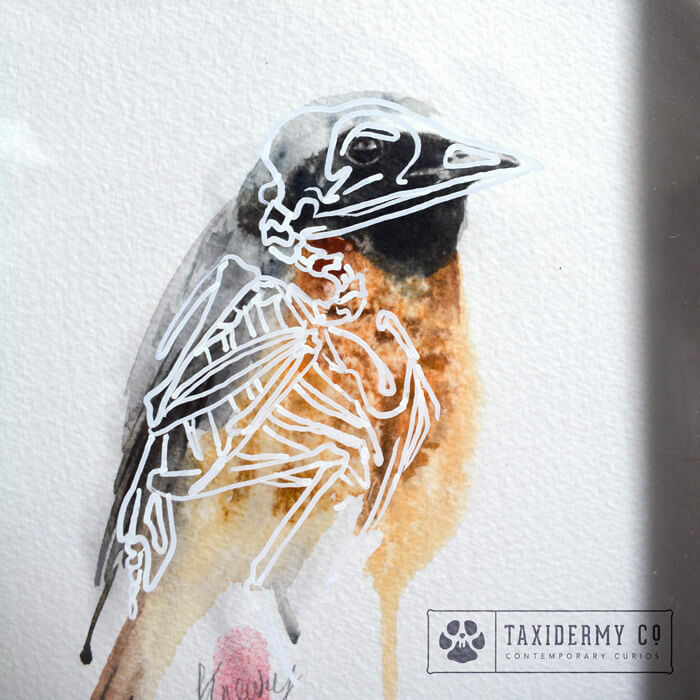 This one features a perfect little weasel skull in the centre of the dreamcatcher – sweet dreams! 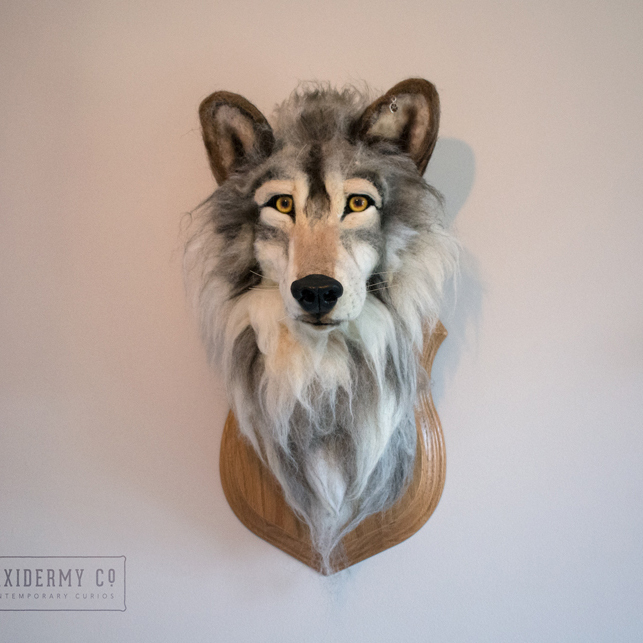 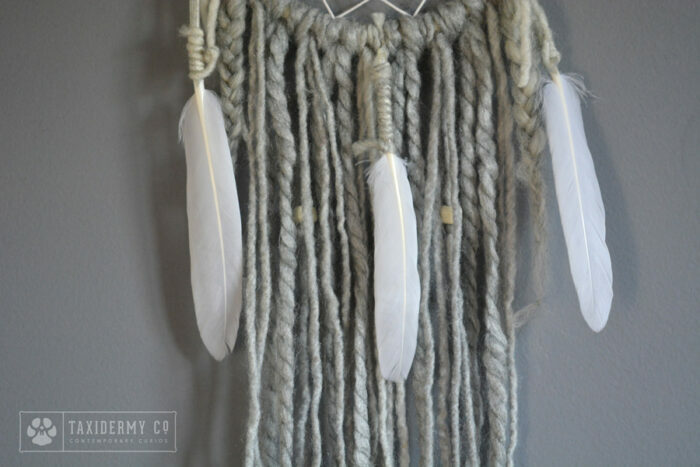 Other materials used: Natural white goose feathers, chunky textured wool, glass beads.